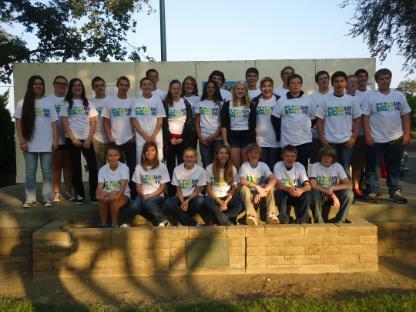 Freshmen students met from all over Northern California to learn about the FFA! They learn leadership skills, plan for their future and travel out of town on a school day. 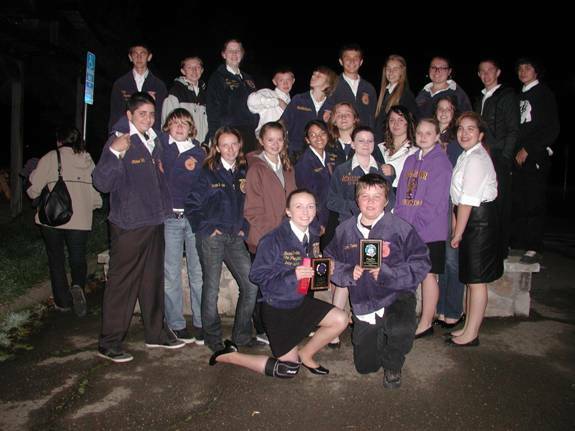 Middletown FFA sent teams to Ukiaha's Opening and Closing Ceremony contest. Teams memorized and performed the Opening and Closing ceremony in various officer roles. 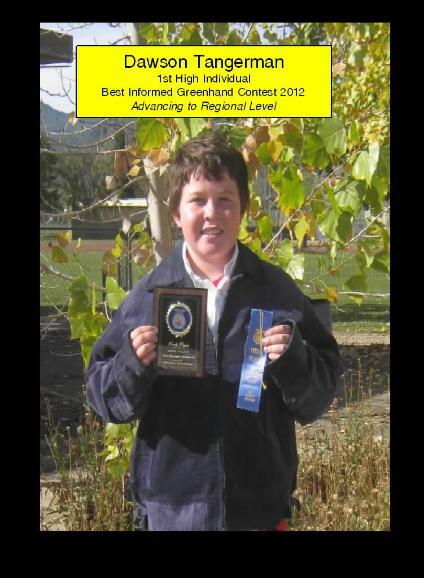 The contest catered to over 200 FFA Members. Judging Teams are where it's at!!!! This fall, the Middletown Ag Mechanics, Small Engines & Floral teams competed at two practice competitions; Shasta College Field Day, in Redding, and the Chico State CTE contest. Ag Mechanics students competed in the areas of surveying, problem solving, electrical, arc welding, woods, cold metal, sheet metal, plumbing and tool ID. The small engines team members are continuing to learn and are making great strides on technique, tool ID, problem solving, and small engine repairs. The team members are pumped and ready to move onto the next competitions that will run from January through May. This year Middletown FFA will have teams in Ag Mechanics and Small Engines. The agricultural mechanics contest, seeks to effectively prepare students for the expectations of the agricultural mechanics workplace. Workers seeking careers in agricultural mechanics must not only develop a high degree of knowledge and skill they must also develop the ability to solve difficult problems. This event blends the testing of manipulative skills and knowledge required for careers in fabrication and construction. California Career Technical Education Model Curriculum Standards addressed by this event include; Algebra, geometry, technology, problem solving and critical thinking, health & safety, ethics and legal responsibilities, leadership and teamwork. The team thanks Tyler Hicks from Albion Surveys, for donating endless hours and knowledge. Thank you to the great crew at Conover Electric for their endless hours of instruction. Thank you George LaFave Jr. for your help. Thank you Mike Jones for donating rod and metal and other important supplies to practice and Bob Bolach for the use of his shop. Thank you everyone that continues to support our teams. To offset other costs for travel, motels, entry fees, tools and shop supplies, the team is building authentic wine barrel chairs, BBQing & scrapping. If you are interested in helping, please contact Mrs. Jones at 707-987-4140, ext 4029 or email; Karen.jones@middletownusd.org. They are one fire! The Middletown FFA Ag Mechanics team recently traveled to Chico State University, Shasta Community College, Arbuckle and College of the Redwoods in Fortuna to compete against the top Ag Mechanic teams in California; bidding for their spot to be one of the 22 teams qualifying to compete at state level. With only three more competitions to qualify, these students are working hard honing their plumbing, arc welding, problem solving, tool identification, written tests, wood working and electrical skills. Students Mitch Wisely, Justin Skinner, Kameron Swank, Colton Deberry & Wyatt Jones continue to learn and travel. These students are looking forward to their next competition. The Middletown’s team has done extremely well for their first year competing. 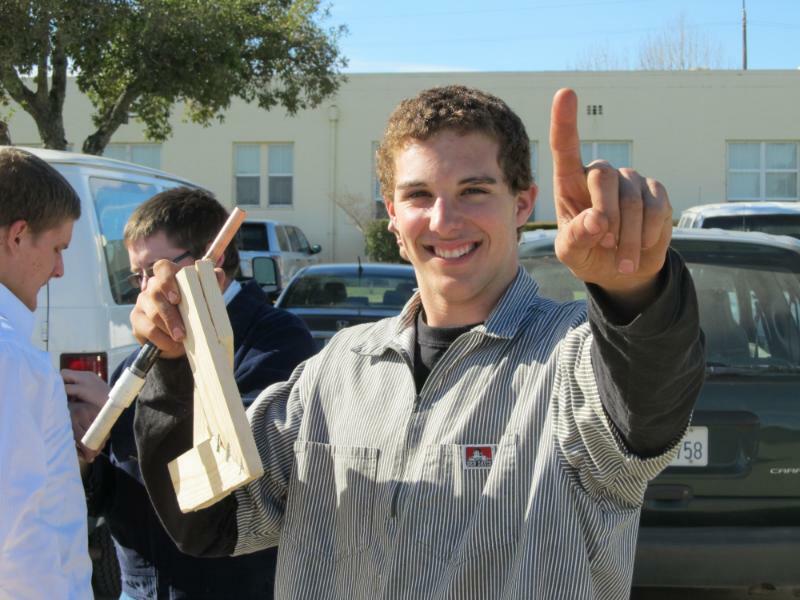 Student Mitch Wisely placed 5th High Individual overall at Shasta Community College competition, whereas Justin Skinner recently placed 2nd High Individual in Arc Welding and the ID portion of the competition, as well as Fifth overall in plumbing held at the College of the Redwoods field day. Also placing at College of the Redwoods field day, Wyatt Jones placed 2nd High Individual in the Electrical portion of the contest. These students are taking college classes in welding, to further their skill level and technique. Practices are also held weekly with professionals in the field coaching them in electrical, plumbing, surveying, woodworking, problem solving, and more. These students continue to learn valuable lessons due to Tyler Hicks of Albion Surveys, Brian Conover of Conover Electric, Kevin Tighe of North Coast Barns & Corrals, Mike Jones of Kelseyville High School, Hardester’s Corner Store, Johanna Snell, the Kemp family, Mike Wisely and other community members. Students are gearing up, traveling to UC Davis, Chico State University, as well as Fresno State University. Good luck.